If someone told you that music education is more beneficial to children than learning a second language or sport, would you believe them? An ever-growing body of research is showing that it is. We spoke to a music education expert about some of the astounding advantages of exposing children to music from birth. Does that mean you should sign your newborn up for sax lessons? Not necessary, says Anita. As babies get older, they continue to use their brain’s music network to understand both spoken and written language. Casually exposing kids to music has many benefits, but formally learning an instrument before the age of seven is particularly valuable. But even those short bursts of learning can help children develop their motor skills – and so much more. Learning to play an instrument can also improve memory because of the way the brain stores information. 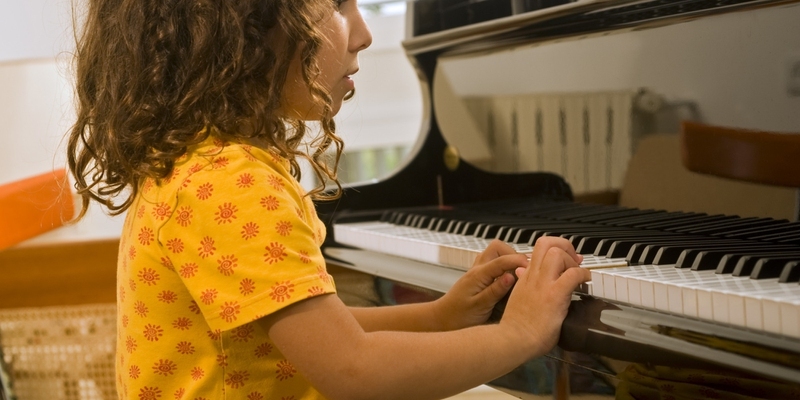 You might be afraid to come across as a pushy tiger mum if you sign your child up for music lessons at a young age, but the benefits will last a lifetime. “I think we’ve gone too far towards the idea that if kids don’t like it, they don’t have to do it,” says Anita. “Music makes children comfortable with discomfort. Learning is an uncomfortable place to be because it’s really hard, but when they get used to it they don’t just give up. They become willing to sit with that discomfort a bit longer until they learn how to do it. That’s why musical kids probably perform really well academically – they’re willing to struggle with an idea." Server responsed at: 04/24/2019 4:43 p.m.